MADISON, Wis. — If given the chance to deliver an inspirational talk to teammates this week, Wisconsin offensive lineman Beau Benzschawel would keep it short and get right to the point. Welcome to the 128th edition of annual upper Midwest grudge match for Paul Bunyan’s Axe between the Golden Gophers and Badgers, major college football’s most played rivalry. 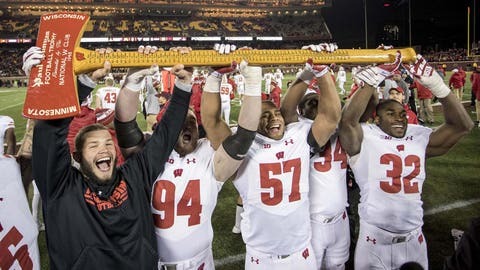 The Badgers (7-4, 5-3 Big Ten) have won 14 straight in the series, and they have no intention of giving the Axe up on Saturday at Camp Randall Stadium. “It’s special, you think about the guys before you that have played in this game and have won the trophy. It’s kind of like a piece of history you get to be a part of,” Benzschawel said. As far he knew earlier in the week, the senior wasn’t one of the players who would give a brief pregame pep talk. The Badgers have the edge over Minnesota (5-6, 2-6) in several key statistical categories, including rushing offense and turnover margin. But this is a game in which players and coaches usually get asked more about emotions than matchups. For Minnesota, seniors have one last chance to break the losing streak and secure the bonus of becoming bowl eligible with the upset. Minnesota’s last win came in 2003; its last victory in Madison was in 1994. “That’s what we keep talking about. Sooner or later, our group is going to end that,” second-year coach P.J. Fleck said. 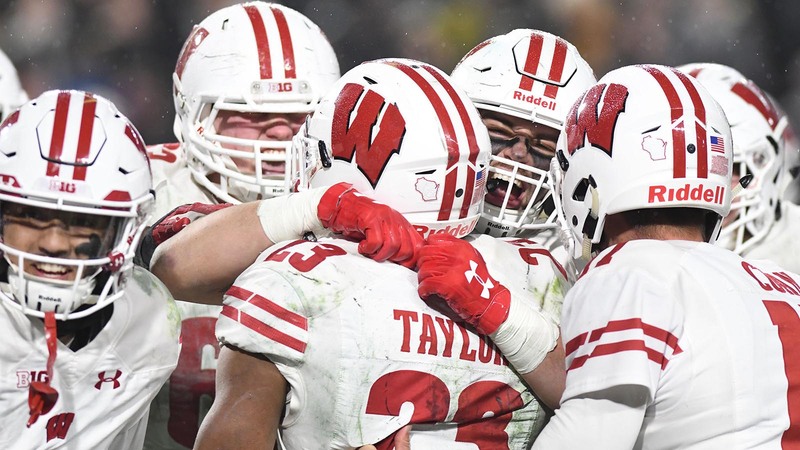 Wisconsin running back Jonathan Taylor averages 169.9 yards per game and is just 131 yards shy of his first 2,000-yard season with two games still left on the schedule. Another big game and Taylor might strengthen his case to at least get an invite to New York as a Heisman Trophy finalist. Taylor is more concerned with sending Wisconsin’s seniors off with a victory in their final home game. “I’m glad he’s on our team and yet I love his approach because it has nothing to do with what’s next for him,” coach Paul Chryst said. Cashman gives the Gophers a formidable foe versus the Badgers’ vaunted ground game, coming off a 20-tackle performance against Northwestern that earned the former walk-on the Big Ten Defensive Player of the Week award. The 20 tackles were the most by a Big Ten player in a non-overtime game since Ohio State’s Ryan Shazier had 20 against Indiana in 2013 and the most by a Minnesota player since Eli Ward’s 22 stops against Wisconsin in 2002. Wisconsin’s Ryan Connelly is from Eden Prairie, Minnesota, but didn’t take sides in this rivalry while growing up. Connelly said he was actually an Iowa fan. There is no question about his allegiance now. Connelly forms one of the best inside linebacker duos in the country with fellow senior T.J. Edwards. They have been the rocks on a defense that has been hit by injuries at other positions. Minnesota junior Tyler Johnson leads the Big Ten with 1,036 receiving yards and is tied for the lead with 10 receiving touchdowns. He’s also second in the league with 70 receptions. Johnson is 90 yards short of setting the program’s all-time single season record, set by Ron Johnson in 2000. Two more touchdowns would also give Tyler Johnson the all-time Gophers record. Wisconsin sophomore quarterback Jack Coan could make his fourth start and play his fifth game overall if Alex Hornibrook misses another game while in the concussion protocol. Hornibrook was questionable this week. After struggling at Northwestern and Penn State, Coan showed some improvement in the 47-44 win last week over Purdue after going 16 of 24 for 160 yards. If he plays, Coan would be ineligible to take a redshirt year this season.